It's a tough situation when the motorcycles you're comparing are almost the same. If one was complete rubbish, then my job would have been infinitely easier. But today is not one of those days. Today is a day when I'm looking at two motorcycles that are so similar to each other, yet so different. The Suzuki Gixxer has been our favourite 160cc naked since it came out and knocked the competition out of the park around two years ago. 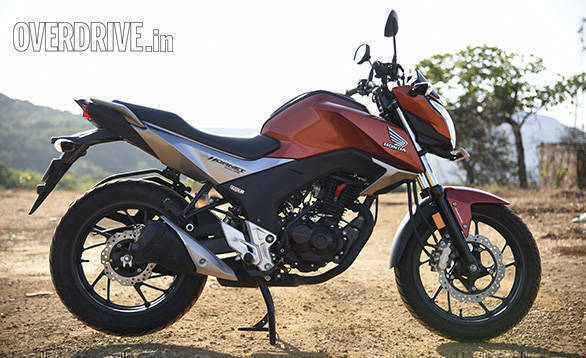 The Honda CB Hornet 160R is the new kid on the block. The specs are similar and so is the idea behind it. But who does the 160cc sports naked game better? Let's find out. The direction of design for both motorcycles is almost the same  aggressive and minimal. The Suzuki has been around a bit so it's a familiar design. 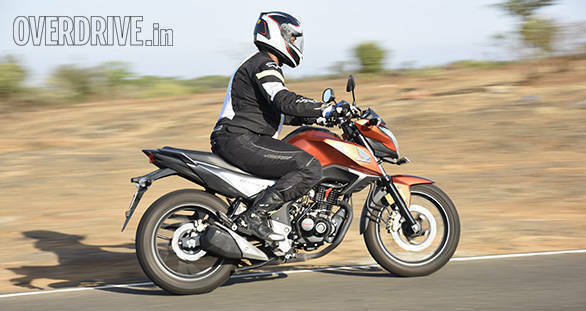 But aside from that, I've always thought that the Gixxer and the FZ had faces that you could swap and never really notice. The Hornet, though, has a more distinct design. If you were to park both in a parking lot, the Gixxer is more likely to get lost among all the FZs than the Hornet. There are lot of details on the Hornet that helps it do this. Look at the taillight, for example. They just didn't go with a regular oval number. Instead hey put in some effort and came out with a distinct X-shaped light that is now a signature. Of course, there is beauty in the simplicity of the Gixxer's design, but the Hornet adds just a bit of flash and outshines the Suzuki. The Honda is also a larger motorcycle. Next to the Gixxer, the Hornet is more muscular. It is also roomier. 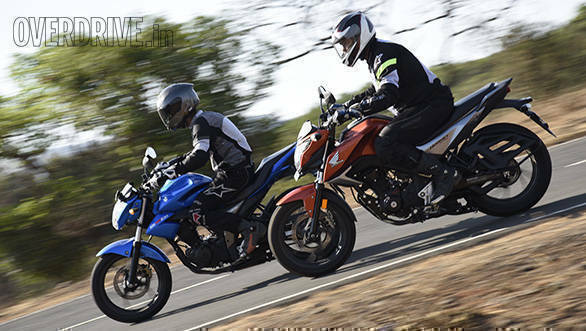 The Gixxer is fine for most people, but the moment you sit on the Hornet, you get the feeling that you're straddling a bigger motorcycle. The tank is larger, the seat is wider, the handlebars are set a bit higher and all this adds up to more space on the Hornet. That too without compromising on accessibility. Mind you, the Gixxer isn't bad at all. It is a well-built motorcycle. But then, so is the Honda. Fit and finish levels on both motorcycles are excellent, as it usually is. But two things that I'm not a fan of are Honda's switchgear and their use of carbon fiber finished plastic. The Hornet uses the same switchgear as the other less expensive motorcycles from Honda. Personally, I don't mind it. But, as Rishabh pointed out, if I were spending my hard earned money on a motorcycle, I would like better switches. And maybe an engine kill switch too. The spec is almost identical in both motorcycles. Both use diamond type frame with the engines as stressed members. 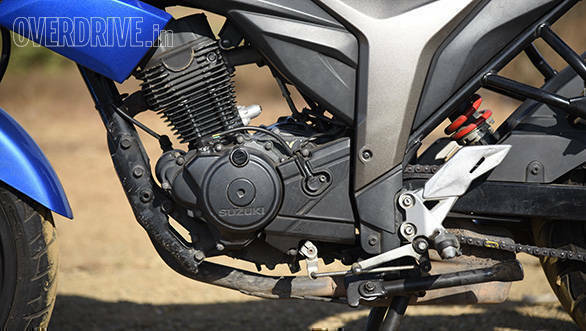 The suspension components are similar too  telescopic forks up front with a monoshock at the rear. Both use discs up front and rear (not on our test Gixxer, but now available as an option) and run similar MRF rubber. Both motorcycles have excellent ride quality and are a breeze on our roads. However, through a set of corners, the Suzuki and Honda behave very differently. The Hornet takes very little effort to induce direction changes. It is super quick steering and you can chuck it into switchbacks without a thought. But what it lacks is the precision of the Gixxer. The Suzuki almost reads your mind. And this makes the Honda seem a bit too eager. The Suzuki is also the more structurally rigid motorcycle. The Hornet tends to weave very slightly through corners. This isn't a cause for concern and never leads to anything scary or dangerous. And at the end of the day, it comes down to how you like your motorcycles  again a matter of taste. If you like eager, light steering motorcycles, that's the Hornet. 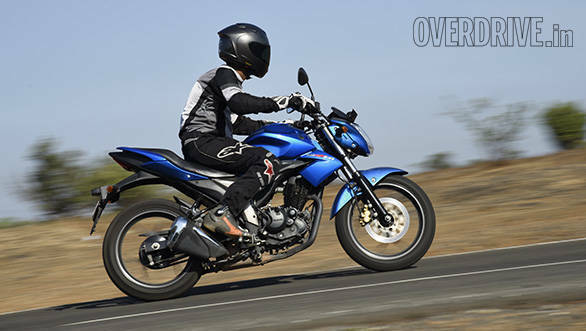 If you like precise, sure footed handling, that's the Gixxer. That said, the Suzuki does have the better brakes of the two. They have more feel and is more progressive. This despite the numbers indicating a very minor difference in actual performance. Also, I really don't like this Combi Brake business. I like my brakes to work independent of each other. Linking the rear to the front brake takes away some control from my hands that I do not appreciate. 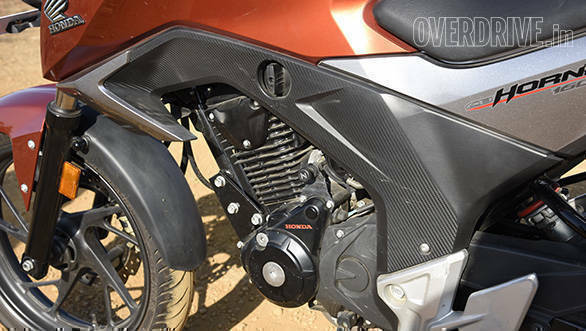 In the actual use cycle, it doesn't make much difference, but it's quite irritating, especially when riding over gravel or other low traction surfaces and you wouldn't mind a sliding rear, but would not want a buckling front. The Hornet has a clear displacement advantage over the Gixxer. There is a difference of over seven cc and one PS between the two. The Gixxer makes 14.8PS at 8,000rpm while the Hornet makes 15.9PS at 8,500rpm. 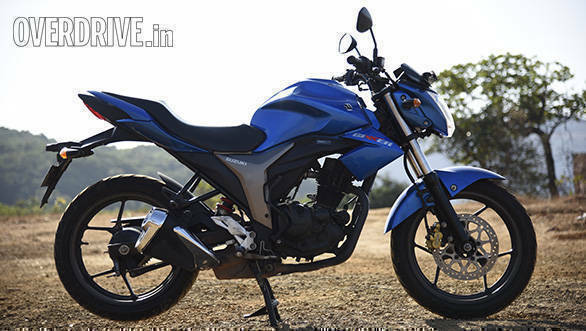 This means that while peak power is lower on the Gixxer, it comes in earlier. When you add to this mix an additional seven kilos, you get almost identical performance. Both motorcycles hit 60kmph in 4.58 seconds and cover the quarter mile in 18.73s (Hornet) and 19.00s (Gixxer). However, where the Hornet takes only 14.55s to hit 100kmph, the Gixxer takes 16.74s. This, I suspect, has more to do with shorter gearing in the higher gears as the Gixxer's top speed, at 115kmph is clearly higher than the Hornet's 109kmph. Of course, the additional power doesn't hurt either. What I really like in the Suzuki motor is the sense of urgency it has. It likes delivering all its power immediately. The Honda on the other hand takes away the sense of urgency with power delivery that is butter smooth, but too linear for its own good. 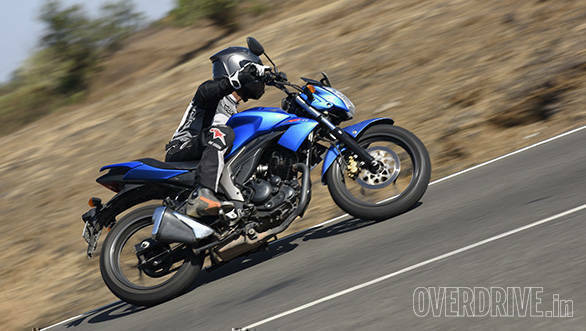 The Gixxer is also the more happy motorcycle when you have to do sustained high speeds. The Hornet's motor protests vocally when you wring its neck for all the performance you can get. The Gixxer on the other hand is happy to sit at high revs all day, cruising at 110kmph. 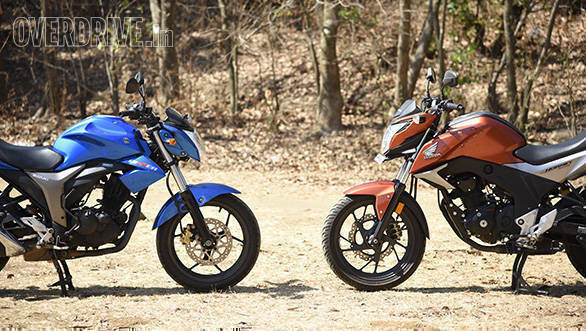 The Suzuki motor seems bulletproof in a way that the Honda just cannot match up to. Both these motorcycles are pretty evenly matched. In terms of looks, it depends on your personal preference. In terms of performance, both better each other in different aspects. The handling too is too close to tell you there is a clear winner. The Hornet will cost you Rs 97,661 (Rs 92,657 without CBS), while the Gixxer with a rear disc brake will cost Rs 93,366 (both on-road, Mumbai). The difference in price too, as you can see, is just over Rs 4,000. You really cannot lose if you choose either of the motorcycles. They are both excellent, reliable 160s in their own right. 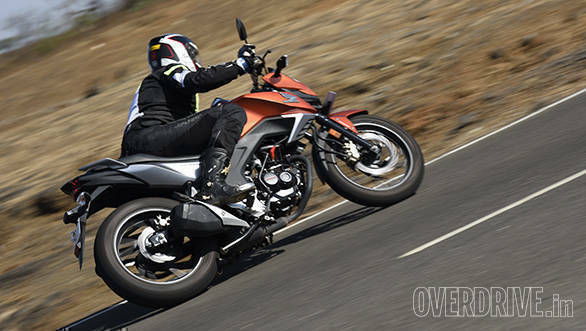 However, there is one little thing that pushes me towards the Gixxer  rider involvement. The sensations that you get atop a Gixxer are just not there on a Hornet. The precise handling, the sense of urgency in power delivery, all make for a more exciting experience. The Hornet, in comparison, feels a little boring to ride. But as I said, it all boils down to personal preference. But bear in mind, I really am nitpicking at this point.